Professor Jeremy Baumberg is a Professor of Nanophotonics and Research Group Leader at the Department of Physics, a Senior Member of the Cavendish Board, Director the Nanophotonics Centre and Director of a large multi-disciplinary centre across the University of Cambridge in Nanotechnology. He is also Fellow of Jesus College, member of the Energy @ Cambridge Strategic Research Initiative and a Fellow of the Royal Society. Jeremy is a multidisciplinary physicist whose research sits across the fields of nanoscience and nanotechnology. He is interested in the construction of nanostructured optical materials that undergo unusual interactions with ligh and in the broad underpinning of the science ecosystem. 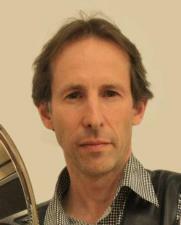 The practical and commercial application of his research, the focus of most of his career at the interface between academia and industry (namely with Hitachi, IBM and his spin-offs Mesophotonics and Base4) and his experience in leading interdisciplinary nano-centres at University of Cambridge can impact the lives of the world’s poorest 3 billion people. Jeremy’s interest in contributing to the Sustainable Development Goals through Cambridge Global Challenges emerged from his involvement in creating low-cost 3D-printed optical hardware for practical application, and from an awareness of the ineffectiveness of trickle-down science.